Dear Mother Mary, with deep belief and faithful heart, i submit this request. Please pray for me to get a suitable alliance and get my marriage fixed soon as we are struggling to find a alliance for the past 4 years. I am already aged a lot Mother and people surrounding me teases a lot saying i am not lucky girl and not worthy of anything. Please remove all the obstacles in my life and relieve me from all the burdens. please pray for me the heavenly father and Jesus to shower the holy spirit on me. Please bless me with a suitable life partner and get settled in my life very soon. Guide me with your holy spirit to choose the right partner and provide me a bright and colorful future ahead. Eagerly awaiting for your blessings at thy feet with strong faith and belief. God remove all obstacles in my life. Find me a life partner. I have been disappointed several times. Help me God. Blessed virgin Mary, intercede in my prayers of finding a life partner. I have had so many disappointments, I feel so lonely,I need a life partner whom I can share my pains and joy with. My heart quest so much to be with him. Give me a Godfearing husband that would love and cherish me the way I am. I want to be celebrating my next birthday with him Lord. Bring us together Lord and bind us as husband and wife. My heart desires so much to meet my husband. Oh blessed virgin Mary mother of God, Intercede in my prayers in Jesus name Amen. Mother Mary pleases pray for me so that my boyfriend may make up his mind in this relationship because we have dated for three years but there is no serious sign.Pray for me so that he may be able to accept to marry me and accept my two children like his own since am a widow,may i see a sign soon.Thank you Virgin Mary for hearing and answering my prayer,Amen. Please pray for me to get married soon. I am 31 yrs old now. Pls pray for me to get married,the man am living with just hate me all because my friend told him of things I did not say..pls make his heart to come to me.lets love each other.evil woman are against my marriage between him and me.shame all my enemies.let God joined us together to get married.amen. Pls pray for me to get marry very soon .i m 33 yr and still looking for a good life partner.my mom is struggling for me .she is having sleepless night because of me and i m totally disturbered and frustrated as i see my self broken from inside .at this time i place my full trust in u lord .pls help me in my nesscisities. I am 35 years old and still not married yet,I am worried that I may not get married like my friends so please pray for me that I may find a good,caring and god fearing husband within this year. I bring my request of marriage before you. I also pray for the proper alignment of leadership through my future husband. I expect that husband to be Mikey as i have seen You and God working through our relationship over the past two years. I ask you to remove the obsticles in our lives of extended family living with us but pull us down financially and emotionally. I pray for our chuldren to all draw near and to come home to the area so we can unite the family and live as you intended. I ask you to bring the work to my husband that is right for him and remove him from the jobs that are keeping us in poverty and working us to exhaustion. I am praying the novena of st joseph the husband. Hiwever if any if my requests are not in line with God, please open my eyes. I want Gods plan for my life. Thank you our Lady for your apparitions and the testorstion of marriages and family! Blessed are thow among women! Dear holy mother Mary. I have had troubled relationships before.I recently got a good young man and he said I was the one he wanted to marry.Unfortunately lately we have not been in very loving terms and he has left me.I love him very much and would like to get married to him SOON. I request that you intercede for me for our relationship to be restored and that we can get married soon.All obstacle that is blocking our road please clear it for us.Bless us with each other.I desire to start a family and serve my God in a family set us. Make it possible for the restoration,followed by marriage,create in him the urge for us to settle down. I trust and believe.Help me Mother Mary. please fix my marriage soon am getting old.my last relationship he lied to me . now i m alone i only have my mum i wan her to see my child .and am tired bing alone .please guide me . Please help me to get suitable person in my life. I loved a guy who has turned his back to me.I am not able to bear the pain. All my friends and cousins are married and feel unlucky in all ways. I am already 35 years and people question me if I ll get settled or stay single forever. I am not able to answer all these questions. I feel broken inside. Please help me soon to overcome this pain and get settled with the good guy in this life. I ask this in the name of the holy spirit.Amen. Amma Maria bless me with good life partner. I want to get marry soon. Plz show my life partner, wherever she is now. I have had many failed relationships.My last was 3years ago.After that I pray and I ask God to send me a specific kind of man in my life.What I prayed for is what I got..he had also been praying for a specific kind of woman also and when he came to know me.He told me about it..JESUS I am asking for your help for him to propose to me soon.. in JESUS name Amen. Bless me to get married to a suitable person. People around speak alot since not married. Please bless me with a suitable person and to get married soon. Dear God, please bless me with the righteous man to get married soon...bless us all. Please mother Mary please intercede to jesus to give me a positive answer from the boy who I hv seen.please pray for me I need ur prayers. Our Lady of Perpetual help please help me in this time of need. Please get my marriage fixed soon. I cannot see my parents in worry any more. I'm here to give a great testimony about my family, Dr Ekaka just restored back my family i have been have misunderstanding with my husband and his family we both have been living separately for over 1 year now. Till last week that i find a testimony on the internet on how Dr Ekaka help someone to bring back his family together which was the same issue that i was going through, I contact him on his website: ekakaspelltemple.wix.com/drekaka. about my problem and he told me what i needed to do after 24 hours i got a call from my husband asking me to forgive him for what has been going on it was just like a dream to be as things began to happen the same way Dr Ekaka told me. I am so happy right now that i have my family back together again. I'm here to give a great testimony about my family, Dr Ekaka just restored back my family i have been have misunderstanding with my husband and his family we both have been living separately for over 1 year now. Till last week that i find a testimony on the internet on how Dr Ekaka ekakaspelltemple@yahoo.com help someone to bring back his family together which was the same issue that i was going through, I contact him about my problem and he told me what i needed to do after 24 hours i got a call from my husband asking me to forgive him for what has been going on it was just like a dream to be as things began to happen the same way Dr Ekaka told me. I am so happy right now that i have my family back together again. Am Julia Andrea From USA I never believed that i could finally get back the happiness and the love that was gone after my husband left me totally. I couldn't just believe that spells and magic could turn my thoughts and my dreams into reality in getting back with my husband after he served me with divorce papers.. my ex husband after the divorce never showed up to me and the kids anymore, he finally made up his mind on me and said it was over. 2 years after our divorce, i was still out trying to get him back and i did all that i knew best could make him happy, and my mum and everybody around just advised i should forget about him and move on with my life, because they felt he was gone forever and was never gonna return. But i never gave up on trying to get him back, because i so much loved him beyond what anybody could ever imagine. I met a spell caster, and what drew my attention most was the fact that this spell caster was from Africa when i contacted Dr ATILA. And that so much gave me the assurance because i have heard much more on how he has helped alot of people... and with the help that Dr ATILA rendered to me, he saved my marriage and reunited me and my ex husband back together again with his powerful spells. Thank you so much Dr ATILA for your help in reuniting me and my husband again, if not for you, my life would have permanently turned out to b a mess. His mail:atilahealinghome@yahoo.com. Lord Jesus Christ have mercy on me Valentina , a sinner ! God I pray to you to help me and John to get married as planned next Saturday ! Please God make John see that we are meant to be happy together ! I pray to you God that John will call me soon and ask me to marry me on Saturday 30th of May 2015 ! I believe in you God ! Please give me this gift ! Holy Mary please help me. I want a fiance please, a marriage partner. I love Rob please touch his heart that he may propose to me no matter the odds.Please I need a happy family like Jesus, Mary and Joseph's.Please help him pass his exams and reduce his tension over it.You know best who is my rightful partner provide for me,let him come my way and propose.Please I want marriage from any relationship I am into and will be into.I pray you touch the heart in Jesus name.Amen. dear Jesus christ please hear my voice im calling for u i am Beena i want my boyfriend Harry to get his nationality soon and want him to come and marry me oh jesus i have been waiting for so long im alreadi 32 need ur blessing my lord and i know nothing is impossible for u my God. 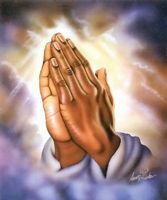 please my friendz do remember me in ur prayers All praise goes to my God Almighty..